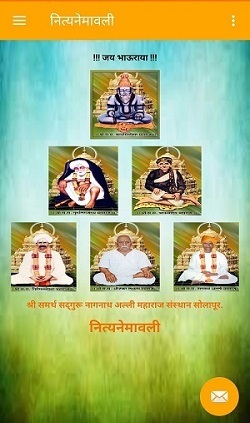 Shri Samarth Sadguru Nagnath Alli Maharaj was established trust in the year 2002. Ichigiri sampradhay is the main community and Shri. S. S. Bhausaheb's Ummedik is a part of the denomination. We have developed the Nityanemawali Android Application, The app includes all the bhajan and aartis.